A black moon occurs during certain astronomical events. In the case of this past weekend, it was because this was the third new moon in a season that has four of them. 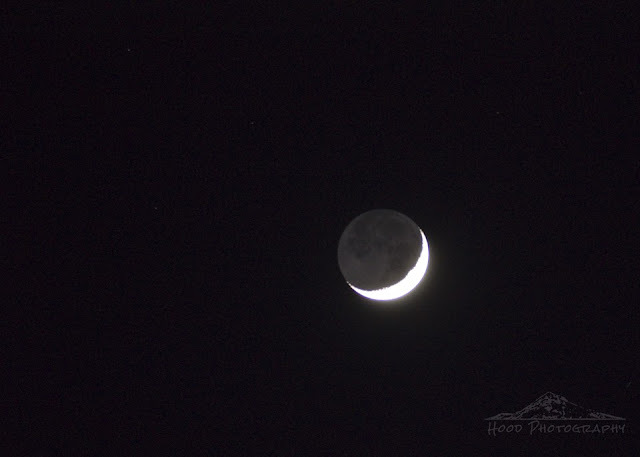 It is pretty amazing when just a sliver of the white crescent moon is visible against the black shadow that the Earth creates on the lunar surface. Wow Sarah… what a fantastic photo! Pretty capture of the moon! Have a happy weekend! Love that moon!! What an awesome shot!! A beautiful image! I saw it here that night, as part of a planetary alignment in the night sky. I have yet to take a good photo of the moon. Great shot! Thanks for linking it up with us at Thursday Favorite Things! Awesome! This almost has the man in the moon profile!